We’re About 9 returns with high-impact harmonies and stellar songwriting in their 7th studio recording. 11 new tracks featured complex vocal arrangements and poignant songs about the big bang, mistakes, do-overs and resolutions. In January 2014, We’re About 9 released Future Pilot, a 182-backer crowd funded album—their first album of new songs since 2008. 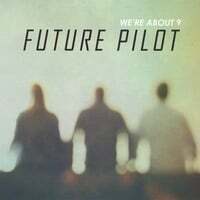 Future Pilot weaves stories of entire lifespans with Were About 9’s most ambitious lyrics, lush production, and biggest vocal harmonies today date. Their 14+ year career has taken We’re About 9 from fire-code-breaking shows at a Baltimore-area coffee shop, to a national reputation for brainy and emotionally-connected songwriting, captivating vocal harmonies, and impromptu fun at shows. You may know We're About 9 (WA9) from their main stage performances at over a dozen festivals (Falcon Ridge, Kerrville, Four Corners, Philadelphia), from their two NERFA formal showcases (2002, 2011), or from Folk DJ favorites like Nobody Flying and Albany.